Congratulations goes out to the Waipahu Cyber Partiot team for capturing 2nd place in the Cyber Patriot Open Gold division. Congratulations to L. Byrne, E. Gaviola, J. Molina, and T. Sumailnog for their finish in the competition. Waipahu High will be competing in the finals of the LifeSmarts State competition this Saturday, Feb. 9th, from 8 am – 1 pm at the University of Hawaii @ Manoa Campus Center Ballroom. 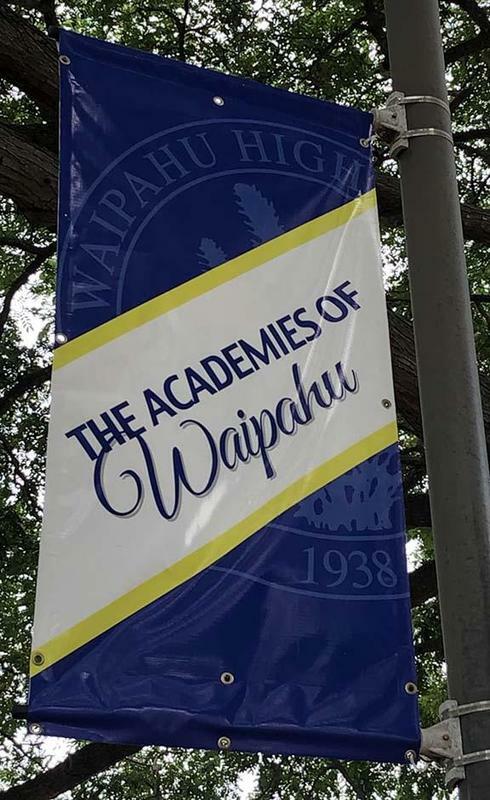 Waipahu High finished the qualifying rounds ranked in the top 4 and will compete for the overall crown against Punahou, Iolani and Maryknoll with an opportunity to compete in the National competition. Go Marauders!! To learn more about the LifeSmarts Competition, please visit http://cca.hawaii.gov/lifesmarts/ or click on the press release at the bottom of the page. All Marauders, come out and cheer on our teams as they compete for the State titles. Boys Soccer – DII Championship. Opening round 2/7 (Thursday) vs #2 Saint Louis. 3:00 pm on Field 8 @ the Waipio Peninsula Soccer Complex. For a complete listing of games, visit https://www.sportshigh.com/sports/soccer_boys/tournament/2019/d2-bracket Added 2/15/19 - finished the season with two losses in the DII State Tournament. Boys and Girls Swimming and Diving – State Championship. Qualifying round 2/8 and finals on 2/9 at the Central Oahu Regional Park (CORP). Visit https://www.sportshigh.com/sports/swimming_diving/tournament/2019 for more information. Added 2/15/19 - Congratulations to the 200 M Freestyle relay team for finishing 8th in the State Finals. This was the first time Waipahu High has had a qualifier reach the state finals in an event. Congratulations goes out to J. Czerwinski, K. Metrose, M. Tucker, and D. Tucker. The Marauder Band program invites you to their 2019 Spring Concert this Saturday Feb. 9th at the High School Cafeteria. The program starts at 6 pm. Bring your family and friends for a night of musical delight. Performing on this evening are the Waipahu Chamber Choir, Jazz Band Blue, Jazz Band Gold, Symphonic Band, and Symphonic Wind Ensemble. Band Boosters will have a concession. 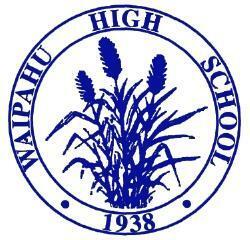 For more information about the Waipahu High School Band program and their upcoming events, visit http://www.waipahuband.com/.